Las Vegas is one of the most fun cities in the entire world. However, there's always the classic Casino Boy conundrum—Las Vegas can be pricey. Between getting there and finding a cheap Vegas hotel, that doesn't leave a whole lot of dough for the average Cheapo. Thankfully, you don't have to be a high roller to score Vegas deals. Unless you are a strikingly gorgeous young lady with equally attractive female counterparts, don't expect anything to come free. However, a Las Vegas promo code and some sound planning go a long way for a tight wallet. Casino Boy is constantly baffled why anyone would pay full price for a hotel room. Hello! There are so many Las Vegas promo codes up for grabs and all you need to do is type the code in the box. Booking directly though the hotel is often a better deal than wholesalers because there are promo codes available and the hotel staff can easily accommodate requests. Las Vegas promo codes change seasonally, but usually they can score you a room cheaper rate, free food, discounted tickets and more. Check in on a weekday and avoid large holiday or convention weekends. With these cheap Las Vegas deals, maybe you won't feel the need to steal the hotel toiletries. Also, be prepared to factor Las Vegas resort fees info your budget. (Sigh). If want to go all out, spring for a Las Vegas party bus with Party Tours Las Vegas and avoid all the lines. 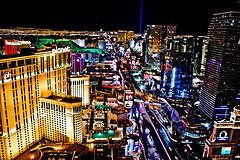 Also, check out the best party tours for cheap or call a Las Vegas club promoter and get on the guest list. They can usually always get ladies on the guest list before midnight, and sometimes can get Vegas deals for dudes entry too. If you're of the female variety, a birthday or bridesmaid sash can go a long way. Just be polite and courteous to everyone and someone may invite you to join them at their table. Finally, check the Las Vegas club calendar and avoid nights where there is a celebrity performer. Cover charges skyrocket when a famous person is involved, so avoid the crowds and head to the next best club with DJ What's-his-name. You can also check out our page on how to party like a VIP for free! Yes. Free. Free-99. Because who doesn't love free? Take advantage of all the free things to do in Las Vegas. The best Vegas deals are free! Check out the beautiful Bellagio Gardens, CBS Television City at MGM, the Mirage Volcano or the Flamingo Habitat. Head to Fremont Street in Downtown Las Vegas at nightfall to experience the real Sin City. There's plenty of free entertainment and cheap drinks to be found in downtown Las Vegas. Plus, there is a bus that takes you there for much cheaper than a cab if you. If you've got ample transportation, there's also a whole lot of natural beauty in Sin City. Drive out to the Hoover Dam, Mount Charleston or the world famous Grand Canyon. To save some money on transportation, walking is always a good choice and you'll be working off all those calories you consumed late last night after hitting the club. For more advice on staying fit while in Vegas, check out our guide to maintaining a bikini ready body that also includes some great attractions to visit! Three words: Pregame, Pregame, Pregame. Hopefully this isn't too much of a college flashback, but if you want cheap Las Vegas booze, bring your own. The Las Vegas nightclubs charge an arm and a leg for drinks, and you'll need all the cash you can get just to pay the cover and carfare. If you are close enough to Nevada, load the trunk up with the good stuff. If you fly, stop by a local grocery store before heading to the hotel. Day drinking is also a solid option because... well why not? Also, BYOB doubles as "bring your own breakfast." Chances are you'll be too drunk and broke to roll out of bed and spend money on a gourmet breakfast. Pack some cereal, orange juice and granola bars to keep the party going the next day or check out some cheap food options and advice on how to only spend $30 a day on food. Finally, bring plenty of cash and small bills for tips. Many cabbies have fees for credit cards and there is a fat ATM charge at most hotel ATMs. For updates on the best Las Vegas Deals, follow Casino Boy on Facebook, Twitter and Google+ and bookmark CheapoVegas.com.